Hails metal fans from HARM.us and 666METAL.com! HAIDUK is a new solo-project that plays a raw form of thrash/death metal, based out of Calgary, Canada. 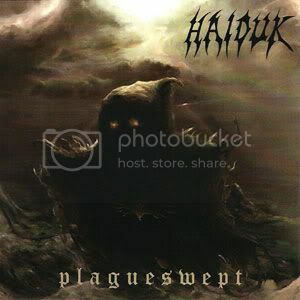 To promote the release of Haiduk's 1st demo-album "Plagueswept", I am mailing 2 FREE COPIES to the first 2 metalheads from HARM.us/666METAL.com who are interested!! "Plagueswept" includes 8 songs/30 minutes of unique atmospheric death metal.